Greentown Learn (GL) is a mission driven 501c3 spun out of Greentown Labs - the largest cleantech incubator in the US - and located at the epicenter of the Boston-area innovation ecosystem. GL’s mission is to help hardware startups move from prototype to product, faster and with greater impact and meaningful regional economic growth. GL accomplishes this through initiatives, programs and partnerships that specifically strengthen regional innovation ecosystems, and which build linkages between local economies within Massachusetts and the surrounding region. The Manufacturing Initiative connects startups with manufacturers and resources to establish working relationships, increase manufacturing readiness, and break down barriers. This is achieved through programming that fosters a manufacturing community and tools and trainings that empower manufacturers and startups to understand one another and collaborate effectively. Since this program ramped up in 2015/2016, we have served over 160 startups, making right-fit, supported connections resulting in over 100 contracts to manufacture. Companies delivering mission critical products in sectors such as energy, water and food have to get their products right the first time and need all the support they can get. 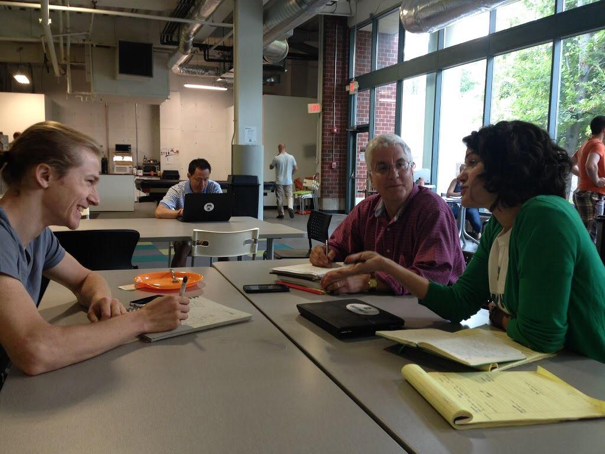 Greentown Learn is in the process of developing a mentoring program to help entrepreneurs and mentors alike succeed. Greentown Learn's Manufacturing Initiative supports companies in the development of their manufactured products. We're creating new offerings to help companies throughout the entire scale-up process, from prototype through product design, partnering, piloting, and to production at scale.